Yeah! I have just reached 1000 posts. Let’s celebrate with a picture of mine from La Feria de Sevilla. I have just started a new blog about guitars. Avid guitar collector and average guitar player Claes is writing about his thoughts on buying and collecting guitars, fixing them up yourself and just general guitar stuff. Claes has never even met a real luthier and doesn’t pretend to be an expert in any way. He just believes that the best way of learning is by trying and he likes to share his experiences and mistakes as he goes along and learn more and more about guitars. Claes loves all guitars as long as they are older than 20 years and ideally were made in Japan. Today is my girlfriend Araceli’s birthday so we celebrated by making a demo. Here is the result, Chest Fever’s first recording. Araceli and I have just arrived in Samos, Greece. I’m going to attend and also photograph a Swedish friend of mines wedding here on Thursday. Until then Araceli and I are looking forward to a week of Greek holidays in the company of many old friends of mine from Sweden. Here are some photos from the trip. Claes (Klas) har namnsdag den 7 juli. En svensk form av Nikolaus, som betyder den som besegrar. Well done me! The Power of Personal Influence from Self Control, Its Kingship and Majesty by William George Jordan, 1905. The only responsibility that a man cannot evade in this life is the one he thinks of least,—his personal influence. Man’s conscious influence, when he is on dress-parade, when he is posing to impress those around him,—is woefully small. But his unconscious influence, the silent, subtle radiation of his personality, the effect of his words and acts, the trifles he never considers, —is tremendous. Every moment of life he is changing to a degree the life of the whole world. Every man has an atmosphere which is affecting every other. So silent and unconsciously is this influence working, that man may forget that it exists. Fotógrafo profesional especializado en actores, músicos, modelos y otros artistas. De nacionalidad Sueca y tras 6 años con estudio propio en Londres, ha trabajado con los mejores artistas en el Reino Unido pertenecientes al mundo de la comedia, actores y músicos. Su estilo fotográfico es único y característico, siendo capaz de crear el estilo de foto deseado. Con tarifas razonables, perfecto para fotografías publicitarias, reportajes, retratos, etc… Con estudio propio en Sant Antoni, Barcelona. I just got my new little practice amp and it’s awesome, a VOX Pathfinder 10W. It might not be to loudest amp I’ve played on but still pretty nice clean tone on both my 335 and my Telecaster. Unfortunately it doesn’t seem to deal well with my Stratocaster, it only has a treble and a bass knob so I can’t get enough middle for any descent Hendrix’s sound. Well worth the 60 € I paid for it from Euroguitar and it arrived in 4 days. Here in Barcelona you can’t seem to buy anything in store. I really like to support my local community but even though the prices are OK the service is so bad so it’s really not worth it. They say they will order things for you and it will be there in 2 days, next time you come in they say it might take a month and they don’t seem to care at all. I don’t know if it’s my fault for not speaking Catalan or if it’s just the service minded gene missing in Catalan people. I’ve tried a lot of things, hats, pipes, guitars and now an amp, they all seem to be the same. They can’t be asked to help you even if you want to spend some money. From now on, I’m Señor Internet and I will continue to order everything online. If anyone needs a small 10W amp and prefer clean sound I can strongly recommend the VOX Pathfinder 10W, the overdrive channel is the normal super heavy metal distortion that I hate but clean or slightly pushed on the gain it sounds great for price and as you can see bellow, it looks amazing. I so wish I would have written this song for the love of my life, Araceli. 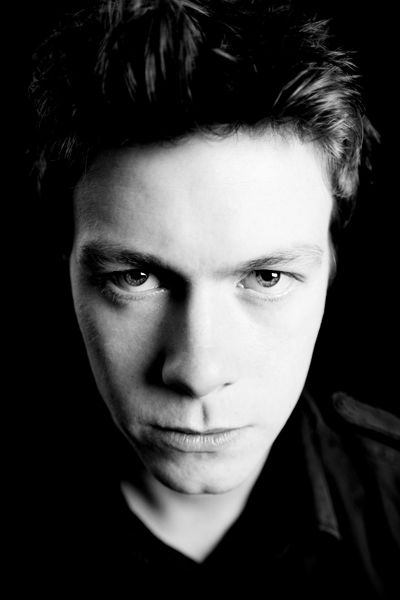 I completely forgot to post something at the time but Daniel Rigby that I did headshots for a 2-3 years ago won a BAFTA award for best leading actor. Not bad at all, well done.